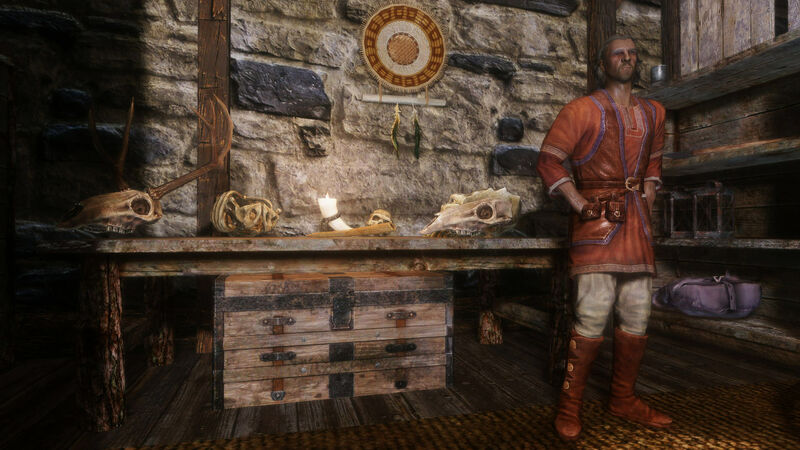 Calixto Corrium owns a house of curiosities where he displays the interesting items that he and his sister collected during their travels in Tamriel. After his sister’s death, he decides to settle down and opens a museum in her name. For two gold, he gives J’Zhirr a tour of the place. When J’Zhirr shows him a strange amulet that this one finds in Hjerim, Calixto says it belongs to Wuunferth the Unliving. He also says that the amulet is just a symbolic piece of jewelry and quite worthless. However, Calixto is eager to add it to his collection and offers to buy the amulet for 500 gold. It is a large sum of money for something useless but J’Zhirr is not about to look a gift horse in the mouth.